Welcome to the official registration and information site for the 2019 General Conference convention of the Church of God (Seventh Day)! With the convention only a few months away, this website is designed to provide all the information needed to make your plans for this event in Albuquerque, New Mexico, July 1-6, 2019. We invite you to check it out! 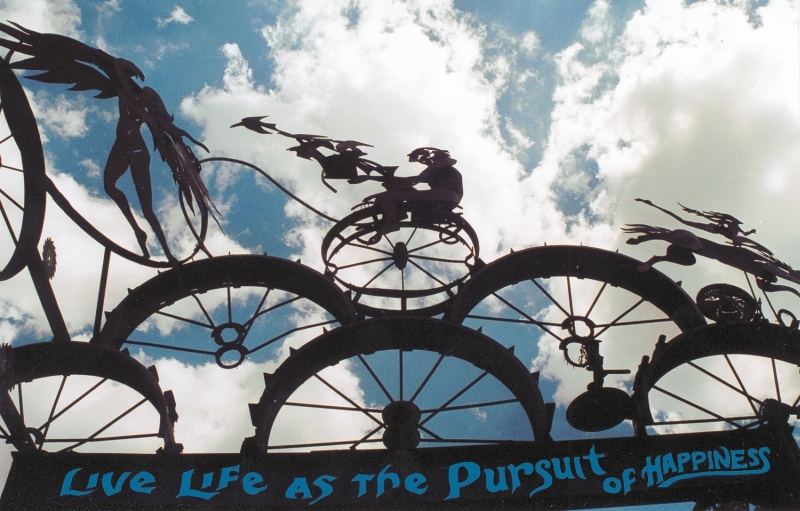 The convention theme, “Compelled by Love,” gives just a hint of this biennial meeting’s focus. Recognizing God's great love for us, we are moved, or motivated (compelled), to action. Throughout the convention, you will be challenged to explore the impact of compelling love on individuals, churches, and the General Conference. With emphasis on the Great Commission, workshops will explore evangelism, discipleship, fellowship, and the impact of this love on family life. There will also be updates on the Church’s ministries, Artios seminars, and reports from churches that are sharing Jesus’ love in their communities. Review the information in the "Overview" section. Register by following the instructions in the "Register" section. Choose the hotel where you want to stay. There are two hotel choices in Albuquerque. Please read all the information carefully to make the best decision for you and your family. To register at the convention hotel of your choice, follow the instructions outlined in the "Lodging" section. 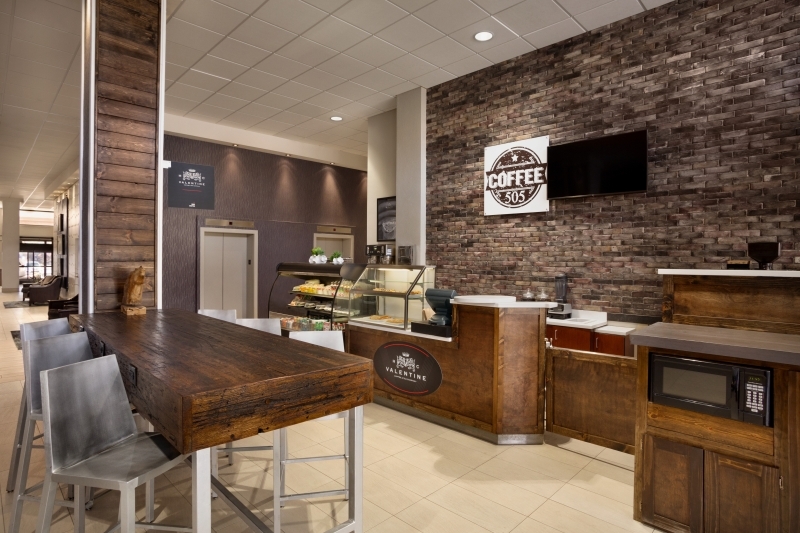 By staying at a convention hotel and purchasing meal tickets, you help defray the costs of meeting rooms and AV services in the Convention Center. 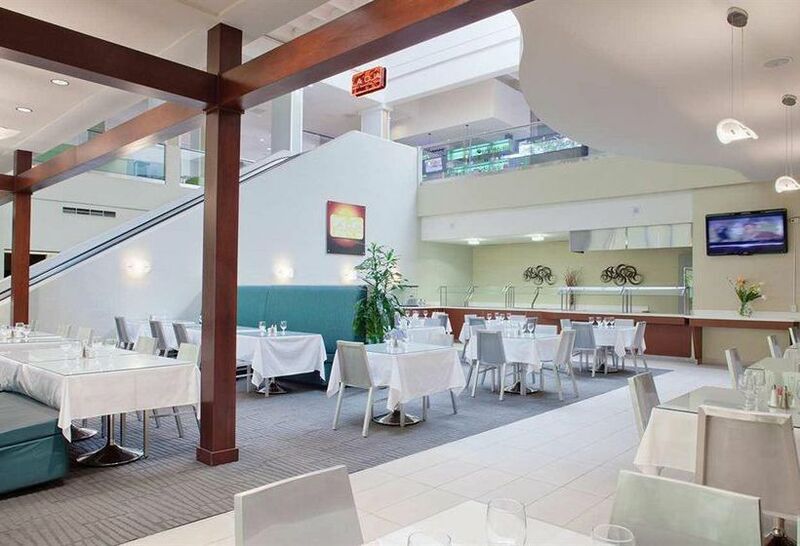 These costs are based on our meeting the contract for reserved rooms in the convention hotels and the contract for food and beverage. Another way you can help is to give an offering to support the convention. Offerings are part of our budget and help us keep the registration prices down. You can give online (cog7.org) or by check made out to the Church of God (Seventh Day). Be sure to put “Convention 2019” in the memo and mail the check to the General Conference, P.O. Box 33677, Denver, CO 80233. If you register before the “early bird” deadline (April 30, 2019), the Program Committee can better prepare convention activities. And you receive a discounted rate! Convention will be here before you know it. Would you please take time to regularly pray for this important gathering? Pray for the Program Committee; worship and workshop speakers; coordinators of the children, youth, and SWORD programs; worship team members and ushers; and travel safety for attendees. May God be glorified in all convention activities. We look forward to worshipping with you in Albuquerque, New Mexico! Here is your quick reference guide to Convention 2019. Information about the location, hotel, registration costs, meals, schedule, and speakers are summarized for your convenience. *Age calculations for rates and other age-related fees are based on the first day of Convention, July 1, 2019. 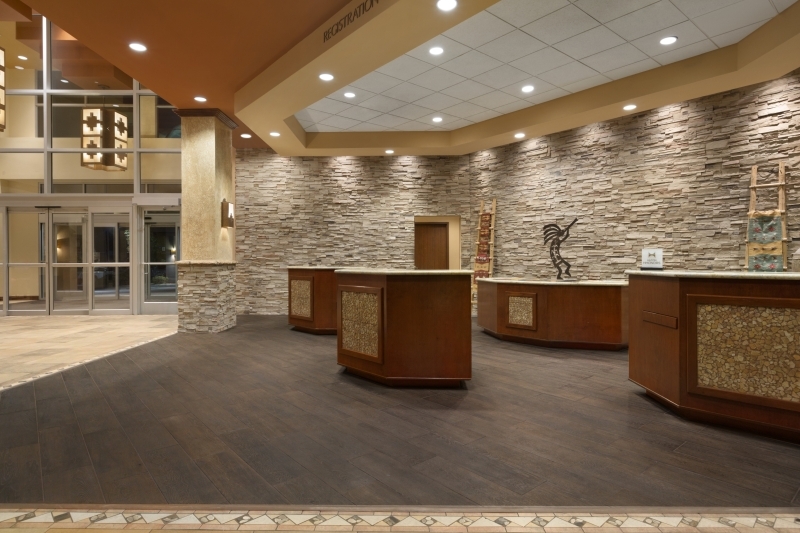 Negotiations with hotels for our national conventions require that we contract for a given number of rooms each night. Fulfilling that contract significantly reduces the rental fees for meeting rooms at the facility. 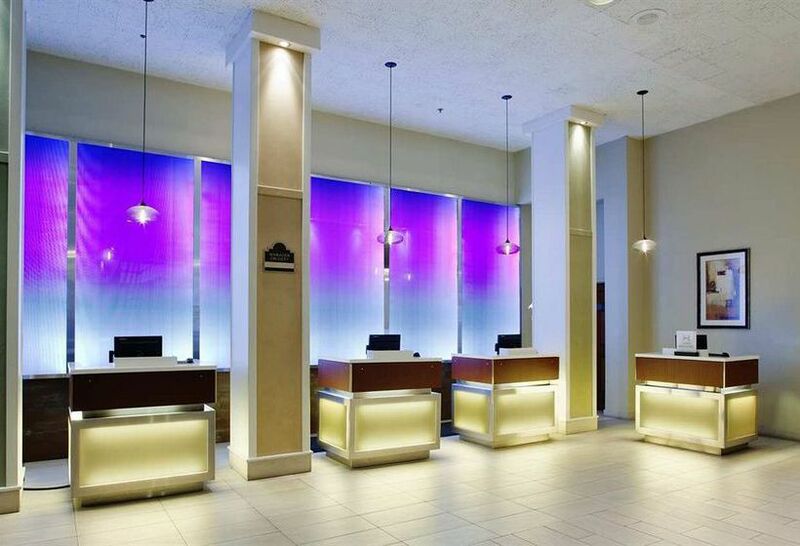 By staying at the convention hotel, attendees help reduce the overall cost of convention. 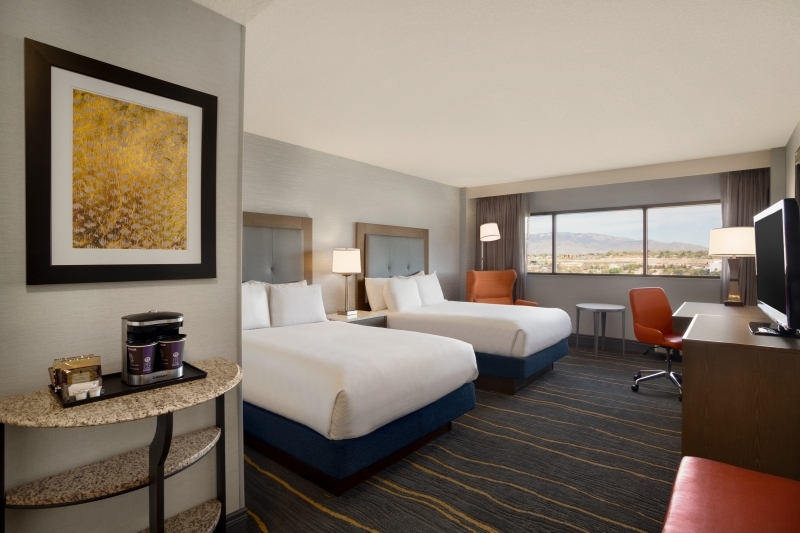 The facility fee allows those not staying at the convention hotel to pay a small share of the Albuquerque Convention Center rental fee. There is no registration fee for children age 3 and under. The online registration system will be available up to and throughout the convention, and personnel will be at the registration desk during the event to assist with changes or new registrations. Early registration discount ends April 30, 2019. It is important that you read the G.C. Convention Refund Policy before registering. 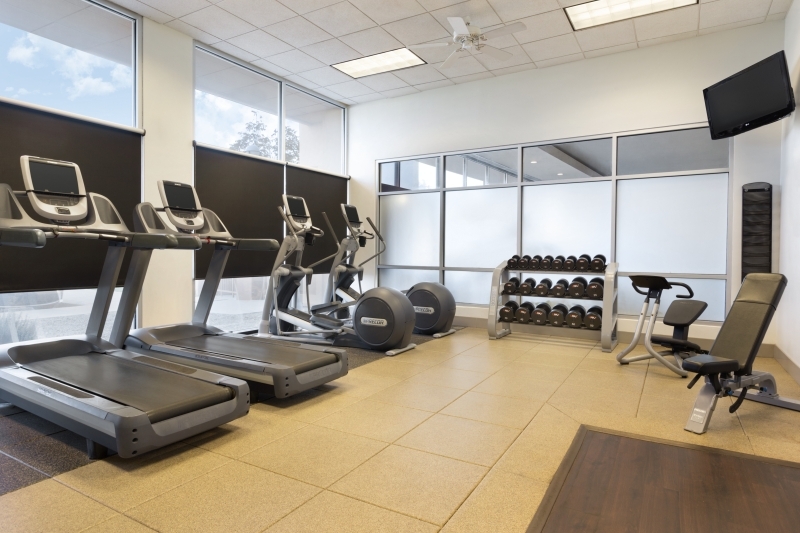 Includes covered passage to convention center, complimentary airport shuttle, free wifi in all guest rooms, $6/day parking, in-room refrigerators, irons, ironing boards, hair dryers, outdoor pool and fitness center, accessible rooms and services (see website for complete listing). This rate applies three days before and after convention, if rooms are available. $119 + tax/night for single/double and $129 + tax for triple/quad. Meal tickets must be purchased in advance for both general meals and special ministry meals. Meal tickets include taxes and gratuity. Check the Tours Tab for guided regional and city tours available Monday (full and half-day tours) and Friday afternoon of convention. Two uniquely different hotel properties are available for your convenience. 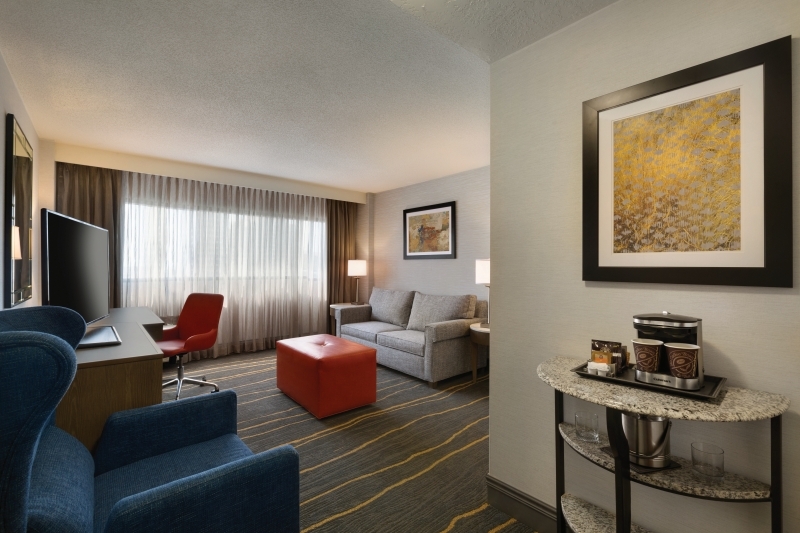 We are very blessed that these hotels are supportive of our convention, and your willingness to stay in them reduces our cost of renting the Albuquerque Convention Center. Convention centers and other meeting facilities are not free, as we are charged a fee for each meeting room and for AV services. 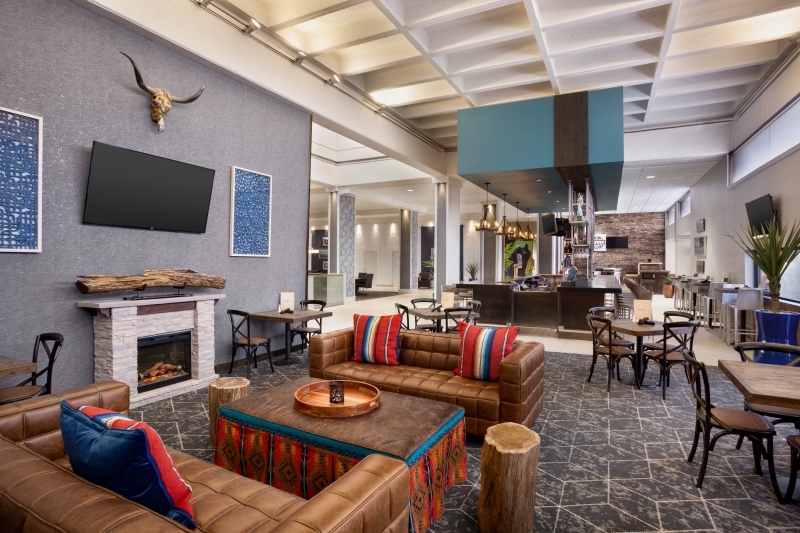 By supporting convention hotels, overall facility and convention costs can be reduced, as well as your registration fees. The convention committee works diligently to keep registration costs well below that of other conventions. We appreciate your cooperation! 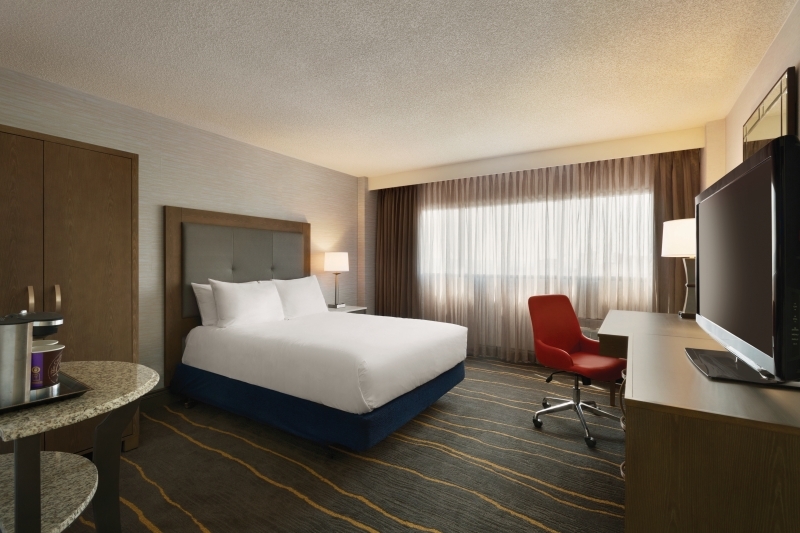 Attention: The cut-off date for making hotel reservations at convention rates is June 14, 2019. 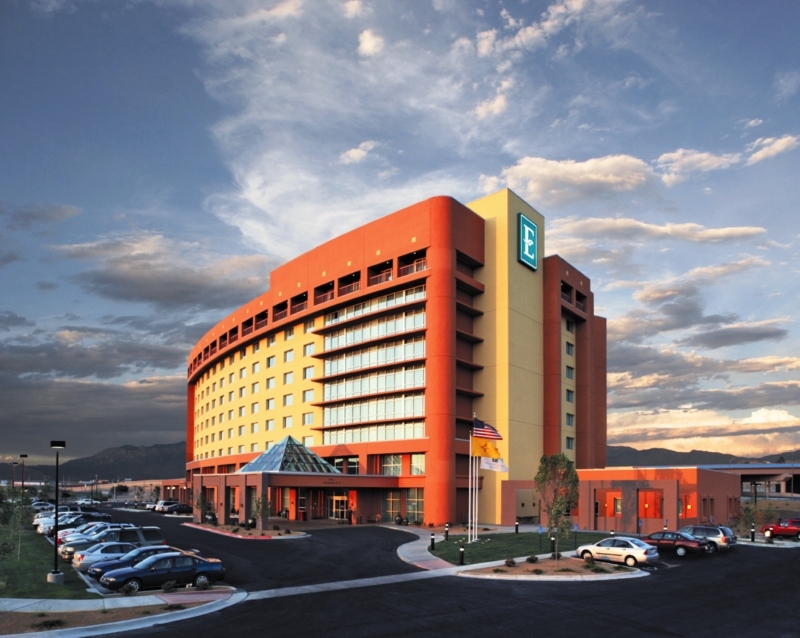 The Albuquerque DoubleTree is directly across the street and is connected to the Albuquerque Convention Center by a passageway. 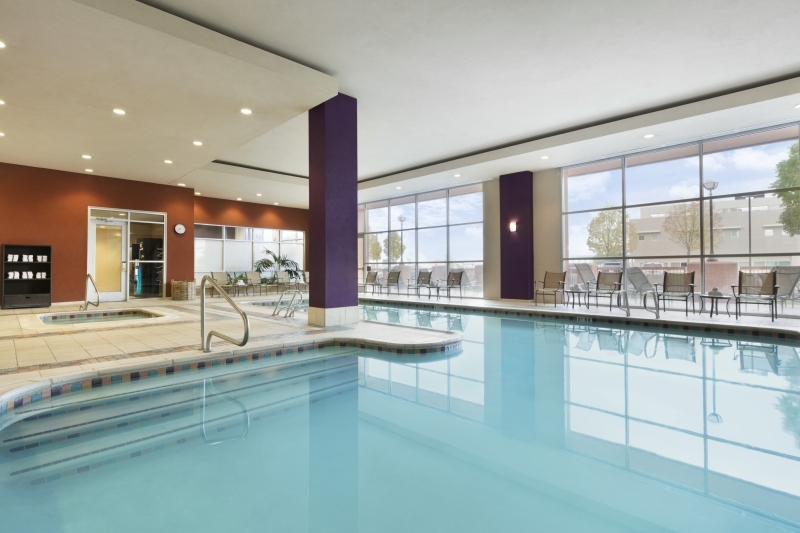 $119 + tax/night for single/double and $129 + tax for triple/quad. (Children are no cost, so a family of two adults and two children would be considered a double.) 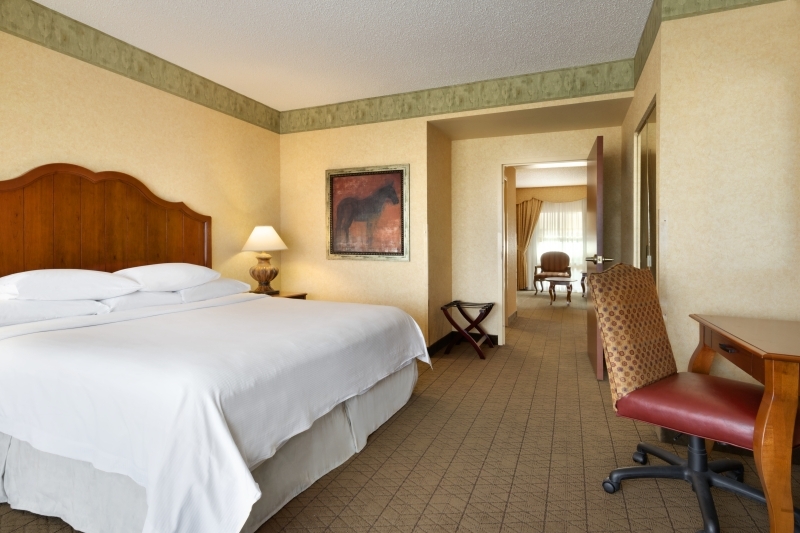 Don’t forget that all rooms are two-room suites and that you have your choice of one king or two queens. 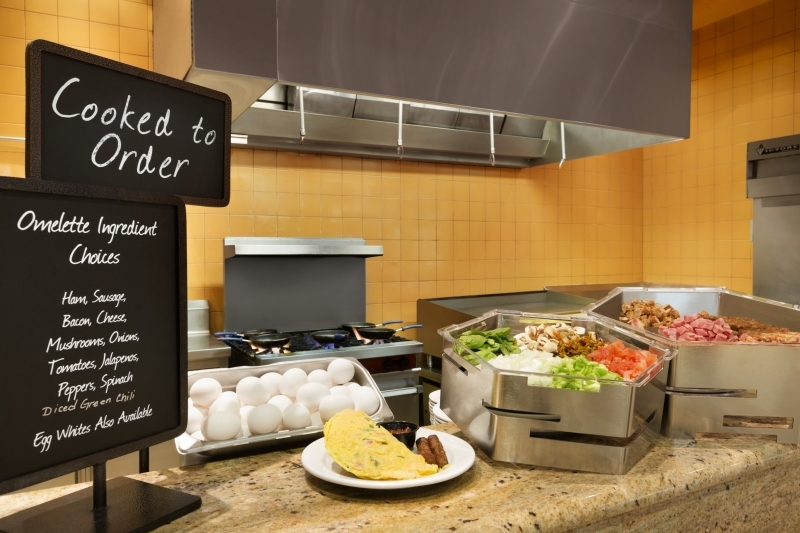 Each option has a hide-a-bed in the living area, and the rate includes a free breakfast and light evening snack. 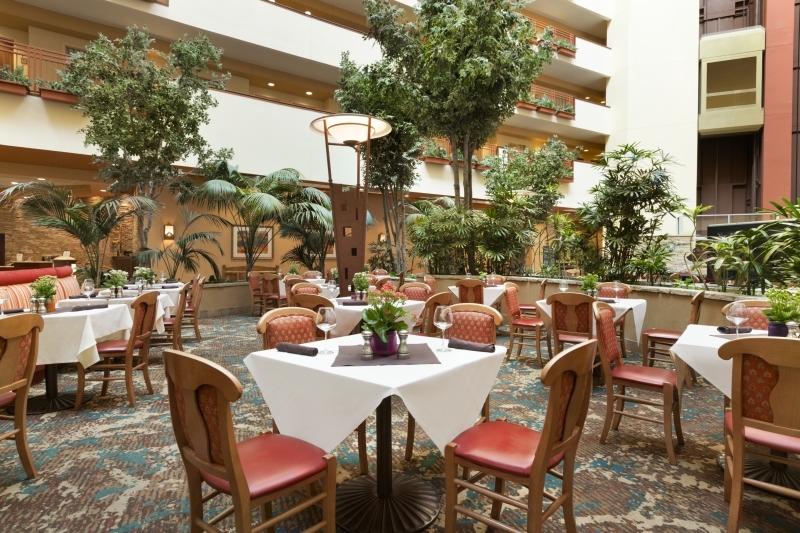 The Albuquerque Embassy Suites hotel is located one mile from the Convention Center. Two RV Parks are available nearby. Special programs are being planned for kids, youth, young adults, women, and seniors. You'll see them on the daily schedule, but here's a little about each one. Imagine leaving a life of privilege and power to face angry mobs, painful imprisonment, and chain-breaking earthquakes — all to spread the life-changing truth of God’s love. At convention, children ages 4-12 will journey along with Paul, exploring his ministry in Athens. Kids will participate in a Bible times marketplace/craft area, sing catchy songs, play teamwork-building Greek games, memorize God’s Word, and dig into authentic food. They will hear the jaw-dropping story of the apostle Paul straight from “Paul” himself! Along the way, children will collect Bible Memory Makers to remind them of God’s Word. Plus, everyone learns to look for evidence of God all around them through something called God Sightings. In an ancient “anything goes” culture, Paul will inspire kids to share the truth of God’s immeasurable love today! As always, we need willing volunteers who can help us guide children through Athens. You do not need to speak Greek or wear a toga, but you must be willing to smile, guide kids in their activities, and risk having fun! If you would like to volunteer but are nervous about being responsible for a large group of kids, there are areas for set up, snack time, and small group activities that might be for you. We are also seeking a kid-oriented praise team for a 20-30 minute opening praise time during a couple of select afternoons. We will be using Sign-Up Genius, which will allow you to choose a volunteer position and time. If you are interested in helping, please contact Amanda Brown at albrownmd@hotmail.com. Childcare will be provided for ages 1–3 during the business sessions. Sorry, we cannot accommodate those younger than twelve months. Volunteers are needed! If you plan to take advantage of the nursery, please be willing to volunteer in this area at least one morning or afternoon. Summer will be here before you know it. When the fam starts talking about plans for convention in Albuquerque, New Mexico, and you’re wondering if there’ll be anything for you . . . umm, yeah! You’ll see long-lost friends and meet new ones. You’ll spend a week learning and being reminded of God’s love through small groups and creative workshops, and you’ll better understand what He wants from us. Through group games and going on city adventures, we’ll worship God in different ways while getting to know each other better. You will have time to spend with the fam and your new friends, and some time to share the love Christ with others. Convention happens every two years, so join us as we reflect on the love that Christ has for each of us. We can’t wait to meet you! Note: The target age group for the youth program is middle school and high school. There will be morning and afternoon sessions, outings, and late-night options. SWORD will be present at the 2019 Convention, and we hope you will too! We will gather under the theme "Compelled by Love,” and, as a church, continue learning how to be God's hands extended in love to this world. You will experience fellowship and community through activities tailored to young adults, and learn from pastors presenting the Word. Be with us in Albuquerque, New Mexico! We encourage you to make new friendships and renew old ones, and take a well-deserved break from your everyday life. We believe the convention will refresh and recharge you. See you in Albuquerque! NAWM is holding its traditional luncheon and bazaar along with new and exciting features. This year’s luncheon theme is W.O.W. ("Women of Worship"). The planned program will focus on WORSHIP—Worship from the voice and heart of women. We cordially invite you to join our luncheon and to visit our bazaar during convention week. And if you have a hobby or craft that you enjoy sharing? Please consider donating some of your handmade items to the NAWM fundraising effort. Activities are planned to provide senior adults the opportunity to fellowship, renew old friendships, and make new ones. A variety of workshops addressing topics including Evangelism, Discipleship, Family Life, General Conference Ministries, and other topics designed to equip us in fulfilling the Great Commission. Click on a speaker’s portrait to see biographical information. Jody McCoy is the executive director of the General Conference of the Church of God (Seventh Day). His parents and grandparents were lifelong members of the Church. Baptized at 14, Jody attended Spring Vale Academy, then Texas A&M. He worked for Advanced Micro Devices for 25 years and left in 2011 to research and write on various Bible-related topics. In 2015, Jody accepted his current role with the Church, and he continues to live in Austin, Texas. Jason Overman is editor of publications of the Bible Advocate Press. After 24 years in newspaper publishing, Jason left his general manager position and joined the BAP family in 2015. He has served in ministry for 30 years and currently pastors the Church of God (Seventh Day) in Jasper, Arkansas, with his wife, Stephanie, and two children, Tabitha and Isaac. Kirk Grant is one of God’s beloved, a father of two outstanding children and husband of one beautiful and blessed wife (for 17 years). Kirk was born in Jamaica and migrated to the US when he was a teenager. He is a pastor and currently serves on the board of the Northeast District as an English regional superintendent, primarily of New York City. He works with pastors, board members, and churches to transform the vision of becoming a vibrant 21st church into reality (in his lifetime). Kirk also directs the production of quarterly videos for the adult lesson studies. Oh, and he loves Jamaican habanero hot sauce! Daniel Flores is pastor of our McAllen, Texas congregation. Currently he serves on the board of the Southwest District, on the board of directors, and as president of the North American Ministerial Council of the General Conference of the Church of God (Seventh Day). Daniel lives in Mission, Texas, with his wife, Kerenha, and four children: Salma, Isaac, Josue, and Daniel. Israel Steinmetz is a pastor, academic, and author with over 24 years of leadership in the General Conference. He currently pastors New Hope United Church of God (Seventh Day) in San Antonio, Texas, where he lives with his wife and eight children. Israel also serves as co-director and dean of Academic Affairs for Artios Christian College. He holds a bachelor's degree in pastoral ministry and master's degrees in divinity and theological studies, and is earning his doctor of ministry. Loren Stacy is president of the General Conference of the Church of God (Seventh Day). From 1981 until July 2015 when he became president, he served as pastor of our Lodi, California congregation. During that time, he also served in a number of General Conference and West Coast District positions. 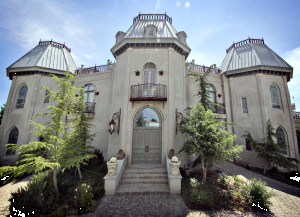 Loren lives in Lodi, California, with his wife, Karen. They enjoy three married children and five grandchildren. CoG7 has acquired the assistance from a local tour operator in Albuquerque. Tour New Mexico, Inc. has designed tours that compliment our schedule. They are ready to take your tour registrations now. View the tour descriptions and sign-up form, print them out to fill in, and send them to Tour New Mexico, Inc. You can also call Tour New Mexico, Inc. (1-800-333-7159 or 505-883-9178) to ask questions or to sign up by phone. They answer the phone every day. CoG7 makes no representations regarding the tours offered by Tour New Mexico, Inc. CoG7 disclaims all responsibility respecting tours, including without limitation to, any responsibility for the cost, quality, and safety of such tours. Full information available on tour description sheet. 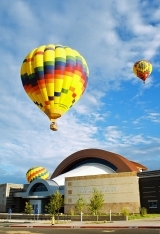 "Albuquerque is the hot air ballooning capital of the world, and there’s no other sensation on earth like ballooning! Our flight takes us over the beautiful Rio Grande Valley for breathtaking views of the city — the Sandia Mountains to the east and the volcanoes to the west. Light refreshments and a ceremony commemorating your adventure at the end of the flight." 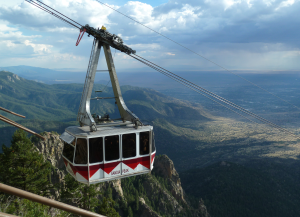 Monday, July 1, 8:30 a.m. - noon; and Friday, July 5, 12:30 p.m. - 5:00 p.m.
"This attraction is the second longest aerial tramway of its kind in the world and features the fourth longest unsupported span of cable. It features an exciting 15-minute journey from a base elevation of 6,559 feet to the top of Sandia Mountain, at 10,378 feet. On a clear day, you can see 10,000 square miles. Enjoy the views from the observation decks, or take a walk on the Crest Trail or Nature Trail. *Note that the tram is not for everyone. Due to the elevation, individuals with heart conditions or respiratory problems should consult their doctor before riding. Bring a sweatshirt or windbreaker on this tour. Mountain weather changes quickly." 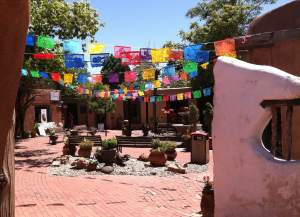 Monday, July 1, 12:30 p.m. - 5:30 p.m.
"Join us for a visit to Old Town, where Albuquerque was founded in 1706. Step back in time as you explore hidden courtyards filled with restaurants and shops. 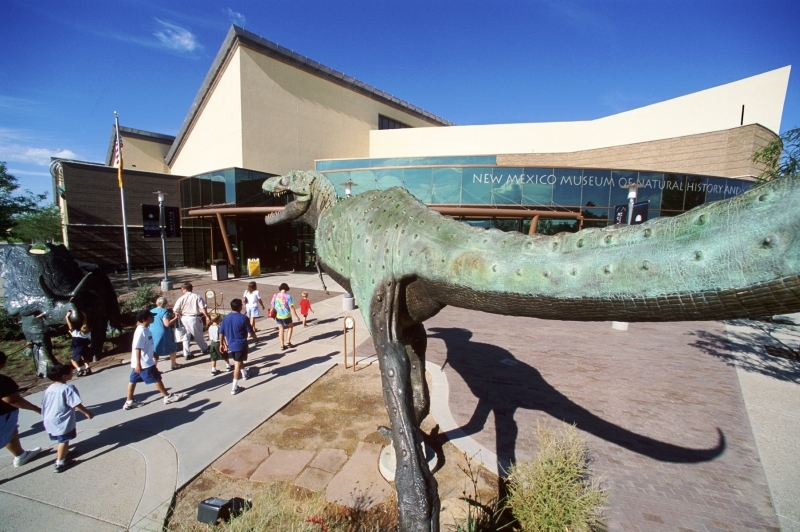 The highlight of the tour is a visit to the Turquoise Museum, which showcases the world’s most colorful gem in one of Albuquerque’s most intriguing buildings. You will see the world’s largest collection of natural turquoise on display and experience over ten cultures in the world history gallery. The Native American history gallery has over 500 pieces on exhibit, and you will learn how to shop in the “imitation” gallery. There will be time to spend in the gift shop. The castle that houses the museum is equally interesting, with over 200 chandeliers and an eclectic collection of European antiques." 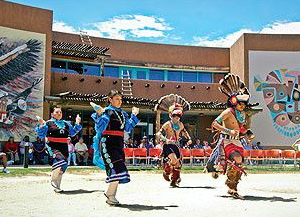 "The Indian Pueblo Cultural Center (IPCC) and the National Hispanic Cultural Center (NHCC) are featured on this tour. The 19 Pueblo tribes of New Mexico came together in 1976 and formed the IPCC to showcase their common ancestry in the ancient cliff dwellers, as well as traditions they maintain in their modern lives. See their museum and the highlight of a live dance performance. The NHCC preserves and promotes the culture of the Spanish-speaking world through permanent and traveling exhibits. See their current art exhibit and the highlight of visiting the torreon (watch tower) to admire and learn about the fresco that depicts New Mexico’s history." "Historic Old Town Plaza awaits. Begun as a stop along the Camino Real in 1706, Albuquerque’s Plaza is now comprised of many shops, some of which are in adobe buildings. After an orientation, using a souvenir map, there will be free time to browse the shops. Finish the day with a docent-led tour of the Anderson-Abruzzo Albuquerque International Balloon Museum. Hot air and gas balloons have been used for adventure, scientific experiments, the arts, warfare, espionage, and space exploration. The museum’s exhibits help visitors see and understand how all this happened. 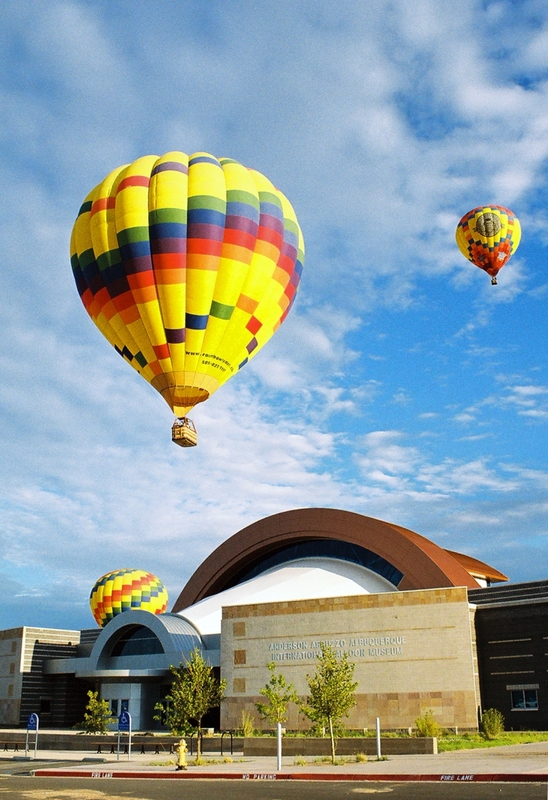 This museum is named in honor of dearly loved balloonists from Albuquerque." Monday, July 1, 8:00 a.m. - 5:00 p.m. This bus tour takes you to historic Santa Fe, New Mexico, the capital of New Mexico and the oldest state capital in the United States (1610). 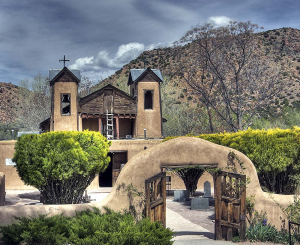 Along the way, we will visit El Santuario de Chimayo, a small church with a big reputation, built in 1816 and on the U. S. National Register of Historic Places. Once in Santa Fe, we will have tickets to the Loretto Chapel Museum that is well known for its unusual helix-shaped spiral staircase (known as the Miraculous Staircase). During the remainder of the day, there will be ample time to explore restaurants and shops at your leisure. This tour is a great mix of guided and self-guided tours. Take advantage of this unique opportunity to explore Santa Fe. Monday, July 1, 9:00 a.m. - 5:00* p.m.
"This walking tour departs from our tour table in the Registration area. This is indeed a walking tour, as we will be walking to nearby public transportation (for a three-mile city bus ride). The BioPark’s acreage, although containing many benches, also requires walking. The tour price includes admission to the Aquarium and Botanic Garden, and you can purchase admission to the Zoo as well if you choose. The tour guide will show you how to ride our beautiful city bus back to the convention or to the Zoo and then back to the convention. You can spend as much time at the BioPark as you like. 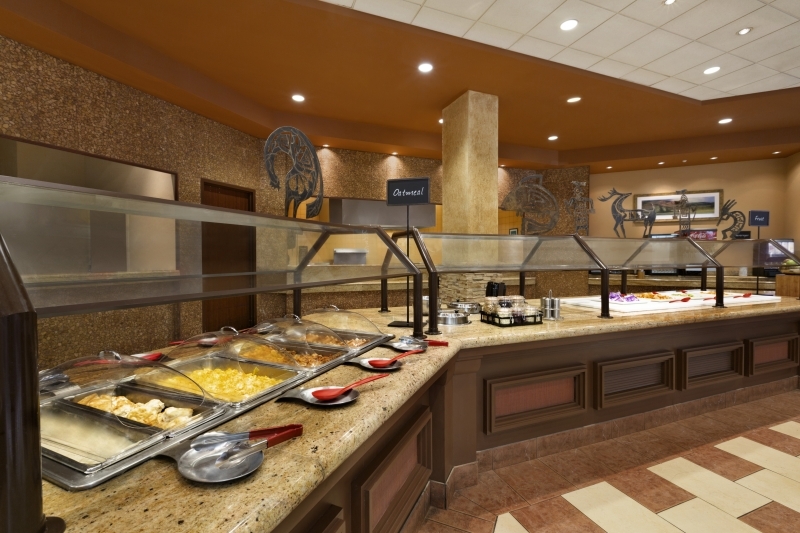 * There are places to eat lunch at each venue. The Aquarium has a 285,000-gallon (US) ocean tank containing saltwater species, a jellyfish display, and a see-through tunnel. It also has a “touch the creature” pool and many other exhibits. The Botanic Garden is 36 acres and has a 10,000-square-foot glass conservatory that houses plants from desert and Mediterranean climate zones, beautiful themed gardens, a fantasyland, and a butterfly garden. The Zoo is in a separate facility a few miles from the BioPark. It is 64 acres with 2.5 miles of paths and more than 250 species of exotic and native animals. Elephants, giraffes, camels, lions, tigers, snow leopards, polar bears, hippos, gorillas, chimpanzees, zebras, and seals can be found here, along with more unusual animals such as koalas, hyenas, white rhinos, Tasmanian devils, wombats, and African wild dogs. There are a variety of birds, from storks and eagles to our state bird, the Roadrunner." Check out visitalbuquerque.org to order a visitor’s guide or just explore the many cultural, historical, and recreational sights and activities that make this city a great place for G. C. Convention 2019.